Looking for a fun outdoor activity to do with the family? Why not try horseback riding? It’s great for all ages and it’s something new for the family to try. Browse through our complete guide of horseback riding in VA and hopefully you find everything you're looking for. Ho! Ho! Hold your horses and look further no more cowboys and cowgirls! The best priced horseback riding in the town of Alexandria is the Little Burgundy Farm Stables! Little Burgundy Farm Stables in VA offers the best value for your money when it comes to horseback riding in Alexandria. Approximately $58/week and $87/week for private lessons, compare it with other facilities out there, Virginia’s Little Burgundy Farm Stables has the best priced horseback riding with the same level of access and private instructions. 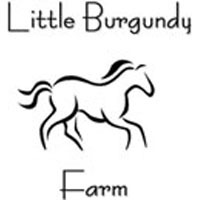 Little Burgundy Farm Stables offers their farm for all adults or youth leisure riders who love to ride horses without the expense needed if you will own the horses. Their programs will teach you horsemanship skills along with the proper care for the horses. 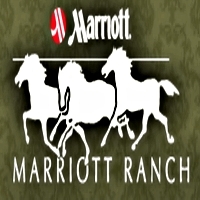 One majestic landscape of more than 4200 acres of grounds perfect for horseback riding is the Marriott Ranch. Marriott Ranch in VA promises a heavenly ride with nature’s tranquility and the perfect place to stay-in before and after your ride. Yes, Virginia’s Marriott Ranch has a bed and breakfast accommodation at their inns. These inns used to be the house mansion of J. Willard Marriott Sr., who discovered, bought and founded the now attractive Marriott Ranch in Virginia. Because of its very beautiful landscaping, nature’s beauties, tranquility of the surroundings, the beautiful mansion, Marriott Ranch is also open for any occasion like wedding receptions, parties or company team building. You will get the firsthand view of this beautiful place once you visit their website. If You Want To Ride, Go Ride A Horse! Everything that you are looking for or need in a horse is absolutely at this ranch called Blue Ridge Lane. Virginia’s Blue Ridge Lane is one great place for horseback riding for all families of all ages. Bring your whole family and enjoy the best of horseback riding in their wonderfully maintained ranch. Trail the whole area guided by their instructors together with your family or friends and you will say that this won’t be the last you will ride a horse. Yes, you will keep on coming back for more as the Blue Ridge Lane in VA has years of experience in this field, more especially its owner and instructors. So if you feel like riding a horse, both with your family or friends, go ahead and visit this place in Virginia! Feel free to visit their website now. During spring and fall, the Cavallini di Amore invites guests to visit their farm of mini horses and ponies to learn more about these miniatures. For the summer months, Virginia’s Cavallini di Amore hosts a benefit show for their mini horses and ponies held every Tuesday and Thursday morning. You may contact them if you are interested in joining their summer club with this advocacy. 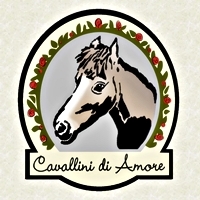 Founders of Cavallini di Amore in VA, Nancy Lee Wheeler and Frank A. Passarelli, firmly believe that children will have a rewarding and unique experience if they were given the opportunity to care for, work and play with their mini ponies and horses. Looking for an outdoor activity while in Virginia? Here is one very good activity that will surely make you and your whole family truly enjoy the outdoors! 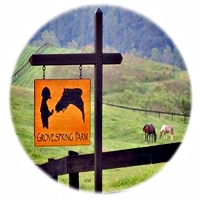 Groovespring Farm offers their whole adventuresome farm for you to see by riding their well bred horses. Horseback riding is their forte and so they invite all cowboys out there to ride on their horses! Riding lessons, summer camps, camp picture taking, hunting and showing pictures, training/boarding and farm tour. Oh cowboys & cowgirls this is one outdoor place you! Groovespring Farm in VA knows the enjoyment and delights of each rider so they have everything prepped up for all you guys out there! By the way, Virginia’s Groovespring Farm sells horses too! So, what are you waiting for? Bring your boots and ride on cowboy! Ride Like a Rhinestone Cowboy! Four hundred acres of trail ride open for high-quality horseback riding lessons, Highpoint Farm welcomes you and your horse if you have, or you may use their all experienced level horses for the perfect outdoor place of activity where you can shine like a rhinestone cowboy! 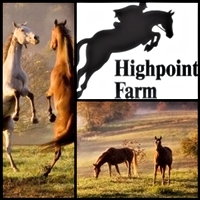 Highpoint Farm in VA welcomes your own horse if you will need a boarding home for them. Prices for their boarding vary with different amenities and inclusions. All horses here are being taken care of properly by their very professional and well-experienced staff. But if you simply want to enjoy the fun of horseback riding, well then again, Virginia’s Highpoint Farm will let you shine by riding their all shapes and all in good condition horses. Visit their website for the corresponding prices of their services that are being offered. A Variety of Outdoor Fun Activities! 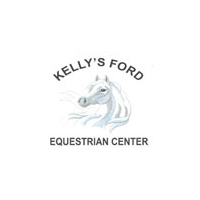 What are the activities that you can do here right at Kelly’s Ford Equestrian Center? Let us name them all! Virginia’s Kelly’s Ford Equestrian Center is the perfect place for horseback riding with dining accommodations, an elegant place for your wedding & banquets, haven for equestrians, camping, swimming in their pool, hiking around their 500 acres of estate, kayaking at Rappahannock River, tubing, golfing in their outdoor course and more! Kelly’s Ford Equestrian Center in VA definitely is the perfect place for that ultimate outdoor fun activity, either for you alone, or with your friends or family! Never any place can offer you such a huge variety of outdoor fun! So if you’re still looking for that perfect getaway for your vacation, jump the gun and let the fun begin! 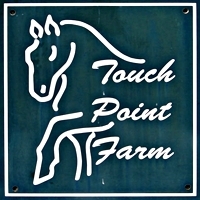 Touch Point Farm provides training and horseback riding instruction for all ages. They also hold summer camp sessions during summer seasons. Touch Point Farm in VA teaches their enrollees hunt-seat and dressage which ensures their horse riding capability once finished. They also allow their students to participate and compete in their dressage and shows. 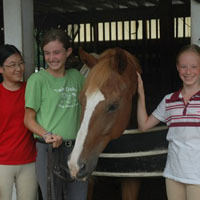 Their riding instructor, Meredith Schwenke Jones, will provide riding lessons either for private or group lessons. She has been doing this for more than 20 years now and has successfully brought most of her students to their shows, dressage shows and other horse events to compete. This ensures that once you are being handled by her horseback riding teaching lessons, you sure are going to be a fire-hit! Tranquility Farm Equestrian brings together horses and people who both have physical, mental and emotional suffering injuries to make them both benefit from each other’s therapeutic harmony. Tranquility Farm Equestrian in VA does this by letting those people enjoy riding these horses who are being recovered from the same sufferings. This kind of therapeutic horseback riding experience is actually beneficial to both, the rider and horse. 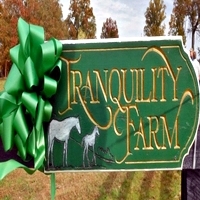 Sarah F. Transeau, the owner, founder and president of Virginia’s Tranquility Farm Equestrian, created this idea for Tranquility Farm. She herself was a premature born baby who grew up riding a horse which then gave her some kind of a therapeutic effect before she learned how to walk. She then shared this idea to those who suffer some physical, mental & emotional difficulties, of which, she is sure to give them the same healing effect. Shangrila Guest Ranch offers their ranch for anyone who wants to spend some vacation holidays or getaways. They cater to all ages, whether for a family, small groups, a getaway with your girlfriend or boyfriend, or just want to spend an hour or a day trail riding. Shangrila Guest Ranch in VA is also perfect for any event hosting, like wedding corporate functions and other occasions that you may think of. They are open all year round. Virginia’s Shangrila Guest Ranch will make sure that your riding experience with them is going to be worth remembering. Their place can be described as the place where you can ride a quality horse through their beautiful trails then rest and relax in their comfortable lodging. Make memories that will last a lifetime by horseback riding through their nature’s beauty of trails. 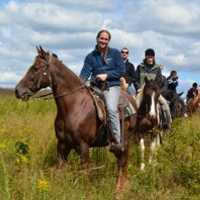 Here at Appalachian Horse, horseback riding is available along with their lessons, 1-4 hour trail rides, customized trail rides and group rides. They can provide discounts for those that are coming in groups for their rides. Come and see their beautiful scenic nature and the stunning Blue Ridge Mountains of Nelson County in Virginia. 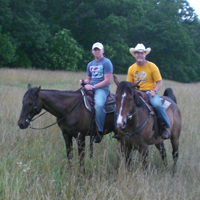 Appalachian Horse in VA horseback riding trail rides and lessons will be handled by its founder himself, Kenton. Kenton, who has the passion and love for the horses, has been guiding his customers for more than three years now. He will be glad to meet you and guide you through their whole place. 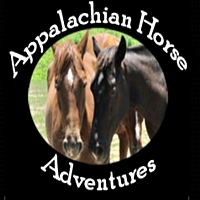 Kindly visit the Virginia’s Appalachian Horse’s website for their prices, reservations & schedules. Stone Gate Stables is one stable in Virginia that has over a hundred acres of modern facility, professionally maintained and operated to make it a perfect home for your horse. Regardless if you are a horse owner or simply want to enjoy the fun of horseback riding, Virginia’s Stone Gate Stables is the best place for that. So, if you’re looking for a stable for your horse or simply for a leisure ride, this is the place to be. 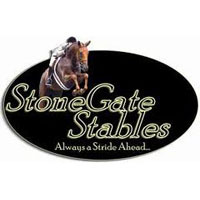 Stone Gate Stables in VA also helps you in selling your horse if you want. They have specialization in selling horses that is if you are ready to move up or simply have just outgrown your horse. Visit their stables now or better yet visit their website to learn more about them. Do You Want To Ride A Horse? One great place to further enhance your equestrian skills is the Twin Oaks Riding Academy. It can also be one great place for you to learn how to ride the English hunt seat guided by their professional instructors. Virginia’s Twin Oaks Riding Academy will warmly welcome you to their place together with their professional instructors and horses. They welcome all kinds of folks, children and adults living in the Northern Virginia area. So when you are in Virginia and looking for some horseback riding fun and lessons, Twin Oaks Riding Academy in VA is one great place. They also host horse camps all throughout the year. You may check their website for more info.